Posted on May 29, 2017 at 10:57 am. 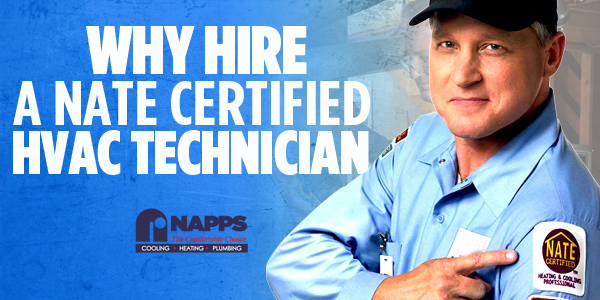 If you need an experienced contractor to carry out superior installation, repair, replacement, or maintenance service on your HVAC equipment, it’s best to choose one who is North American Technician Excellence (NATE) certified. NATE is the country’s largest non-profit organization for heating, ventilation, air conditioning and refrigeration contractors. A NATE certified technician has passed specialized examinations in specific areas. When a technician passes the tests, he proves his expertise and practical knowledge when it comes to installation, repair, and maintenance of mechanical equipment such as HVAC systems. 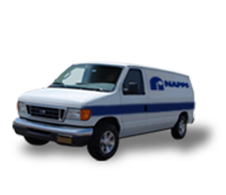 Why Hire a NATE Certified Technician? Proper installation and maintenance of your HVAC units can help in ensuring that no extra stress is taking a toll on your system components. When a system receives professional service from a NATE certified technician, rest assured that it will perform the way it should and will last longer as well. When it comes to home comfort, essential factors such as relative humidity and consistent indoor temperature play a very important role. Your HVAC unit should be sized, installed, and professionally maintained by a NATE certified technician in order to experience better home comfort, while saving on your energy bills. The US Department of Energy says that improper installation of HVAC units can significantly reduce the efficiency of the system up to 30 percent. As a result, homeowners may be troubled by high energy waste and skyrocketing utility bills. One good way to ensure that your HVAC unit performs at its best is to trust a NATE certified HVAC installer. The first way to hack energy efficiency to lower energy costs is proper installation. Over time, however, the crucial thing to keep your equipment running efficiently and lower your energy bills is professional preventative maintenance. Schedule a tune-up service from a NATE certified contractor if you want to save on your energy bills. You and your family deserve not only a comfortable environment, but also a clean and healthy indoor air to breathe in. When your HVAC system is neglected, you and your loved ones’ health are at risks due to airborne particles. Leaky ductwork, dusty air filter, dirty supply, and other factors can contribute to higher chance of indoor air pollution. You can tackle these issues when you tap a NATE certified HVAC contractor. Ultimately, the main benefit of choosing a NATE certified technician is for greater peace of mind. Knowing that your HVAC unit receives high quality service and maintenance from a trusted and experienced technician, you can live each day without stressing about HVAC problems. Now that’s a complete peace of mind for you and your family. Your HVAC systems deserve the best service and maintenance from a reliable professional contractor. Since you don’t want to settle for less when it comes to taking care of your units, it’s best to hire a NATE certified HVAC technician in your area.